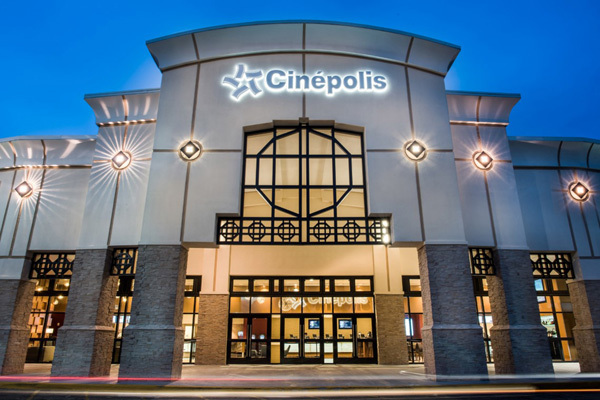 Cinépolis, a major movie theatre operator based in Mexico, has partnered with Al Tayer Group, one of the Middle East's leading luxury and lifestyle retailers, to build and operate cinemas across the GCC region. This venture will introduce Cinépolis' world-class cinema-going experience - high-touch theatre concepts, including Luxury, Premium, Macro XE, 4D Emotion technology and kid-approved Cinépolis Junior auditoriums - to Gulf audiences for the first time. Over the next five years, this joint venture will establish Cinépolis as a leading player in the UAE, Oman and Bahrain. In Saudi Arabia, Cinépolis and Al Tayer Group have partnered with Al Hokair Group, a leading hospitality and entertainment operator in the Mena region. The Joint Venture has recently been granted a Cinema Operating License by the Saudi General Commission for Audiovisual Media (GCAM) and plans to develop movie theatres in 15 major cities across Saudi Arabia. "We are delighted to have entered the Gulf market through our regional partner Al Tayer Group," said Cinépolis managing director Middle East & Asia, Javier Sotomayor. "Through this venture, we are confident we can provide best in class service and experiences to our future customers. We are equally honoured to have partnered with Al Hokair Group in Saudi Arabia, who shares our mission to provide best in class service and experiences to guests." "We are pleased to partner with Cinépolis, and are delighted to become their regional partner offering world-class entertainment across the GCC", commented Humaid Ahmed Al Tayer, vice president for Al Tayer Group. "We are also looking forward to the fruitful partnership with Al Hokair Group to set up cinemas in Saudi Arabia. We are confident that the community will enjoy an unparalleled experience in our theatres"